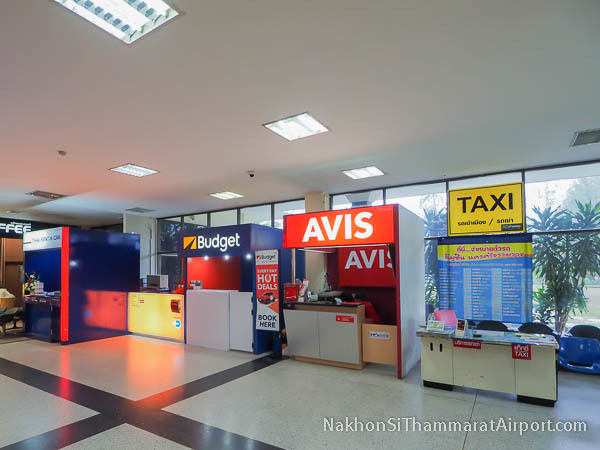 Transportation services at Nakhon Si Thammarat Airport include car rental, private and shared taxi services. Taxi and car rental counters are located near the arrivals exit on the left hand side. Taxi rates to Nakhon Si Thammarat city center start from 300 baht. 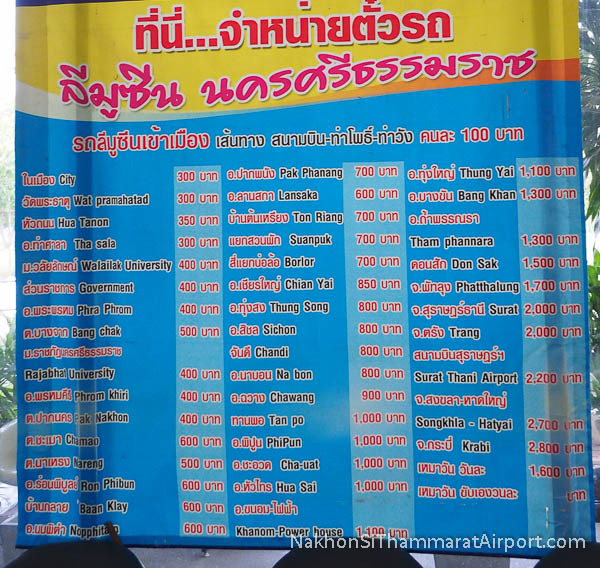 Copyright © 2019 · Nakhon Si Thammarat Airport Guide.